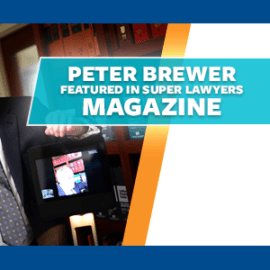 In 2015, we at Brewer Offord & Pedersen LLP celebrated our 20th anniversary of being in business. Since starting out as a solo practice in 1995, our firm has grown to a size of 6 attorneys with over 90 years of combined real estate law experience. To all our clients, colleagues, and friends, thanks for making last year so special! Click the cover image to read our 2015 Annual Review. We hope you enjoy reading about our firm’s adventures from last year, and we look forward to many exiting things to come in 2016. To keep up with our firm in 2016 and beyond, including articles, guides, and downloads published by Brewer Offord & Pedersen LLP, visit our California Real Estate Law Blog.